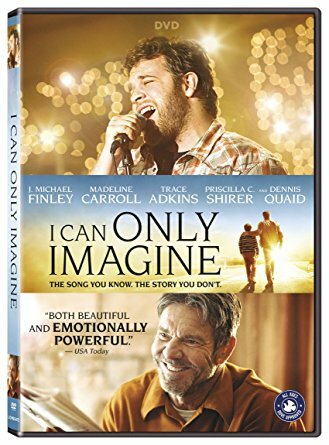 Having seen the movie in a theater, I’m not a prime candidate to own the DVD or Blu-Ray for the movie I Can Only Imagine, which ended up becoming the 4th highest-grossing inspirational film of all time. This is a powerful story. There’s no denying this. And it’s a powerful song. Over the years, the band MercyMe has been flooded with letters from fans describing their own “moment” connecting with the song. Even if you, like us, saw the film on the big screen, I’d encourage you to get your hands on this; or maybe find some fellow theater-goers who saw it as we did, and split the cost of the disc. I doubt the ‘extras’ are available for streaming. …If you missed it, here’s my article from March, and then my reflections after actually seeing the film after it had taken off at the box office. Three movies later, God’s still not dead, and The Newsboys are still singing the same song. It would be so easy to be cynical and say that this movie franchise went back to the well one time too often, but in fact, I didn’t really mind the movie at all. Heck, if they can keep it at this level, they can make a 4th one, too. God’s Not Dead 3: A Light in Darkness releases today on DVD and Digital. The film was part of an avalanche of major Christian movies this winter which included Paul, Apostle of Christ and I Can Only Imagine. The plot is as fresh as the daily news, with the church-and-state issue concerning a parish which helped found the university on whose property it still sits, only to face that the college has evolved into something completely secular and can no longer, in good conscience be perceived as giving preference to one particular religious worldview. That the church has been destroyed by fire makes the situation more complicated. There were also some surprising storyline developments, but to enlarge on those here wanders into spoiler territory which I’ve chosen to avoid. Generally speaking, the film kept my interest, a few overused Christian clichés notwithstanding. Apologetic cinema like this seems to fall into two categories. 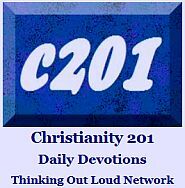 There are the fast-action scripts involving multiple plot-lines intended to educate and entertain (Do You Believe), and there are the more cerebral films which are intended only to provoke thought (The Case for Christ). In God’s Not Dead 3, the only chase scene is a foot chase lasting about ten seconds. It’s about the characters and more important, about the ideas. …This is a movie about holding various positions in tension, and right to the end, it delivers that. Again, without providing spoilers, I know that some viewers will be unsettled by the direction the battle between the church and the university moves, but then that’s just more fuel for post-movie discussion. Happy Saturday. And Sunday. Again, some things you may or may not have seen elsewhere. If your church ever had Koinonia Groups, you would certainly know how to spell the word, right? For Karthik Nemmani, described as “a soft-spoken eighth-grader from McKinney, Texas,” the word was worth $40,000 in the Scripps Spelling Bee. God Chose Donald Trump: The Movie “Liberty University students and faculty are making The Trump Prophecy. Students at Jerry Falwell’s evangelical Liberty University are helping produce a film that argues Trump’s presidency was divinely foretold. Mixed Message: An article on how the brothers can encourage the sisters in ministry is nonetheless set in a complementarian mindset. I mean, I applaud the effort, but it doesn’t really change anything. “For nothing is hidden that will not become evident, nor anything secret that will not be known and come to light. Every once in awhile I have to work a weekend shift, but at least it’s not as busy. Welcome to the Weekend: A bonus feature for the faithful committed readers who don’t just turn up on Wednesdays. Drew Dyck didn’t say where he found this baby baptism pic, but the comments (click to read) were as much fun as the photo. …Meanwhile the Ashers Bakery case — concerning one of the world’s most famous gay wedding cakes — will now be heard by the UK Supreme Court. Church — Then and Now: Thom Rainer sees eight major differences occurring in the last decade. The power of a word: Did God create the world or did he arrange the world? A different way of looking at Genesis 1. That was our nine-year-old son Izzy’s odd request. In the end it changed him, it changed me, and it just may change America. The Golden Rule is often said to be common to every major faith. 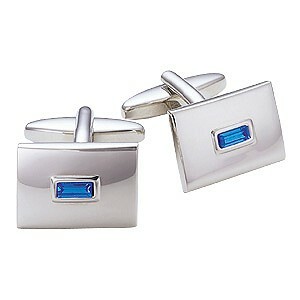 But often what you see is The Silver Rule. Furthermore, Christians are called to live The Platinum Rule. In the winter months I become a bit of sitcom junkie. And I’ve enjoyed six years of Last Man Standing on Friday nights at ABC-TV. So is the show’s Christianity-friendly, politically conservative writing the reason the network canceled it this week? You don’t want to be chasing Pokemon inside a Russian cathedral lest you be found guilty of insulting the faith of worshipers. Pass the Bucket on the Left Hand Side: Four ways churches fail when asking for money. Canada Corner: As the nation gets ready to celebrate its 150th Anniversary on July 1st, a new book looks at religious freedom in the country. Finally, if you need a lift this weekend, this particular Brant Hansen Oddcast should do it. You really do need to see this film. In a world where a proliferation of Christian movies has meant some of us spend as much time at the local theater as we do at church, this one is a cut above. After getting to see a preview, I took a first-time step of watching it all over again the very next night, finding the second view equally satisfying and engaging as the first. I think the reason was that for me the various elements of the movie worked; that is to say all the pieces of what makes up cinematography that we might not even notice played together here to create a movie that was simply believable. There were few of those caricature or stereotype moments that sometimes mar faith-focused films. It’s no spoiler to say that this is the real-life story of Lee Strobel, a top investigative reporter with the Chicago Tribune, who also happens to hold a law degree, and has a history of taking on some big challenges, including the Ford Pinto scandal. (You can read a 1980 sample in the Trib’s archives.) He’s just been promoted out of street-beat reporting but is about to be called upon to cover a cop shooting, a story that he feels is really beneath him. That story has some interesting parallels to another, second investigation he’s about to launch on his own time. That side project begins when his wife converts to Christianity through the ministry of an early incarnation — still meeting in a theater at that point — of Willow Creek Community Church. He feels he’s losing her but is confident he can win her back by simply bringing all his investigative skills to bear on proving Christianity in general, and the resurrection of Jesus in particular, to be a complete and utter hoax. While philosophy and theology isn’t his normal beat, he is relentless in his pursuit of credible experts who can handle his checklist of factors in the Christ story that need to be negated. The rest is the apologetics substance of the film. It was the unexpected relational substance of the film that caught me off-guard. What happens in a marriage when one spouse is a believer and one is not? (It’s around this point that I remembered reading that Zondervan was re-releasing one of Strobel’s few non-apologetic titles, Surviving a Spiritual Mismatch in Marriage coauthored with wife Leslie.) 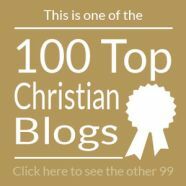 The portrayal of Leslie Strobel — by an actress whose appearance and mannerisms reminded me so much of Bill Hybels’ daughter Shauna Niequist — is what caused one reviewer to comment as to the authenticity of the portrayal of this neophyte Christ follower; the believability I mentioned earlier. The rest you need to see. Strobel does not lay down his guns halfway through and commence the ministry with which many of us are familiar. We know him today as the author of other titles in the Case for… series such as The Case for Faith, The Case for a Creator, The Case for the Real Jesus and the recent The Case for Grace; but throughout most of the film his life is not headed on that trajectory at all. Disproving Christianity is a fight he truly believes he can win. This isn’t really a film for the whole family, though teens who face challenges to their faith from fellow students could benefit significantly. Taking a friend, relative, neighbor or coworker who hasn’t yet crossed the line of faith is highly recommended, because when it comes to what Christians believe, at the end of the day, the buck stops with the resurrection. An opportunity to the preview the movie has been provided courtesy of Pure Flix Entertainment and Graf-Martin Communications, Inc.
Stills above were posted on Twitter by people associated with the production. Last night we were able to watch a preview screening of the movie The Case for Christ which opens April 7th. While I will offer a full review of the movie closer to the release date, many of you have read the book by Lee Strobel, or one of the many others in the series: The Case for Faith, The Case for a Creator, The Case for the Real Jesus, etc. Like some others who have leaked bits and pieces of this online, I also was struck by the authenticity of the two primary characters in the movie, Lee and Leslie Strobel. While the theme of the movie is very obviously evidentiary apologetics there is also a sub-theme dealing with the time when Leslie was a Christian and Lee wasn’t. It’s probably no accident that their 2002 book Surviving a Spiritual Mismatch in Marriage is now in re-release by Zondervan. Plan to see it, if at all possible, during the first weekend of release. I’ll have more to say about it in a few days. Use the following image on your Facebook page to make more people aware of this significant film. If there’s a single takeaway from the 1-hour, 43-minute documentary Let Hope Rise, it’s that the members of Hillsong United are totally amazed and humbled at the band’s worldwide influence and popularity. The film played in theaters in North America just a few months ago, and is releasing on DVD and Blu-Ray December 20th, just in time for Christmas. A concert at The Forum in Los Angeles provides the storyline, with scenes in the dressing room just before they go onstage book-ending the movie. This is very much a documentary, not a concert film. There are a couple of songs which play in their entirety. Others are edited somewhat, or transition between the songwriting collaborative process and the finished product onstage. The focus here is to provide a behind-the scenes look. Again, this is a film about Hillsong United, not the Hillsong worship program in general. 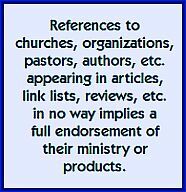 There is a far too short, ten minute nod to the history and scope of the parent church in Sydney, but its worship teams aren’t in view here; neither is the younger band Hillsong Y&F (Young and Free) mentioned. It was interesting that on the one hand, the band talks about the fact they work for the church and are not particularly well paid, but on the other hand are able to enjoy an oceanfront house in California to write songs. Back home in Australia, the members of the band appear to live quite modestly. Some have very young families, with their wives staying home to take care of the kids. We had planned to watch this with a full stereo sound system but a last minute glitch caused us to relocate. At first I was disappointed, but the music both is and isn’t the focus; it is more about providing the inside look at the band using material filmed for the movie and archival footage the band owned. Hillsong’s influence on worship music around the world is immeasurable and Hillsong United’s influence on youth culture and youth ministry is equally significant. Anyone who is a fan of United will probably want to watch this several times. Onscreen lyrics are provided on a few songs for those who even want to sing along. 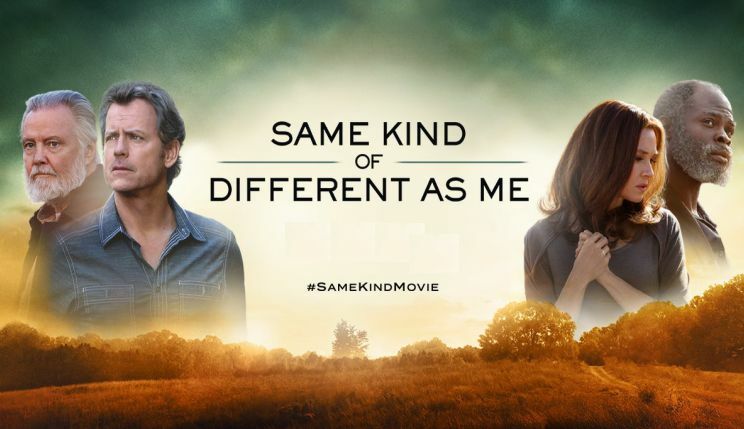 This film, the story of Rachel Joy Scott, the first of several students murdered in the 1999 Columbine shooting, opens next Friday in the U.S. Visit the website, or watch the trailer below. 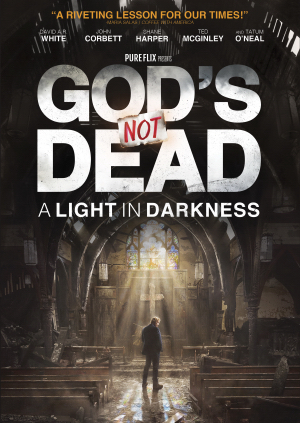 Releasing today on DVD, this is, by my count, the third movie in a highly successful franchise for Pure Flix Entertainment, if you count the first God’s Not Dead from 2014 and then 2015’s Do You Believe? Like Snakes on a Plane, the film’s intention is clear from the outset; you know what you’re expecting. With Do You Believe? I remarked at the time that there were more characters, more plot lines to follow and a lot more on-screen action compared with GND1 . With God’s Not Dead 2, there is less activity. This is a more cerebral film providing food for thought for the skeptic as well as the already converted. In some respects, I felt this 2016 movie was more ‘preaching to the choir,’ though I’ll grant that its potential to impact the unbeliever is still present. With the two previous films, I observed that one of the major wins was the ability to transcend Christian clichés and awkward screen moments. This time around, I decided that a certain number of each may be inevitable if one is going to portray authentic Christians doing Christian things. Melissa Joan Hart realistically plays the central character in the movie, a teacher under threat of losing not only her job, but everything else in a punitive action hoping to curb the presence of Christianity in the classroom once and for all. Her crime isn’t so much quoting what Matthew attributes to Jesus as it is doing so from memory, with conviction and being able to cite chapter and verse. Jesse Metcalfe is cast as her somewhat inexperienced atheist lawyer who might not get the whole Jesus thing, but understands clearly the issues the case raises. Hayley Orrantia of The Goldbergs TV series is student who is the supposed victim in the legal case in which her parents are the plaintiffs. Other cast members include Pat Boone, and Duck Dynasty‘s Sadie Robertson. And yes, The Newsboys are back. Having fewer plot lines and characters to track than Do You Believe? made this more enjoyable, but with this third film in three years, I do wonder if the genre is being overworked. On the other hand, fiction is a great vehicle for apologetics — including some of my favorite books — and so I was fully engaged as the movie developed. Note: If you’re watching the DVD, be sure to continue through the closing credits for what is either an interesting sequel-begging scene, or a nod to the composers who end their pieces with an unresolved chord. Movie has been provided courtesy of Sony Home Entertainment Canada and Graf-Martin Communications, Inc.